We explore issues of energy and the environment, along with our partners from Allegheny Front and StateImpact Pennsylvania. PPG Industries Inc. is agreeing to pay $1.2 million and treat polluted water seeping into the Allegheny River in Pennsylvania from a long-closed waste site, although environmental organizations called it a "slap on the wrist." State Sen. Ryan Aument (R-Lancaster) has introduced a long-awaited bill aimed at preventing two of the state's five nuclear plants from retiring early. The heavily fined owner of natural gas liquids pipelines across southern Pennsylvania is agreeing to another $200,000 fine and a study on risks to the Mariner East 1 pipeline. The public will have a chance to weigh in on the future of Hays Woods at a community meeting Wednesday evening, as efforts are underway to turn the parcel into Pittsburgh's largest city park. Hays Woods is about 650 acres, and runs along the Monongahela River between the South Side and Homestead. It's home to Pittsburgh's only nesting pair of bald eagles, as well as lots of trees and streams. Pennsylvanians are growing increasingly concerned about climate change and want the state to do more to address it, according to a new poll conducted by Franklin & Marshall College in partnership with PA Post. Pennsylvania Auditor General Eugene DePasquale continued his climate change public hearing tour Thursday with a stop at Point Park University in Pittsburgh. Forty years ago, the most serious nuclear accident in U.S. history sparked a backlash against the industry and halted its growth for decades. 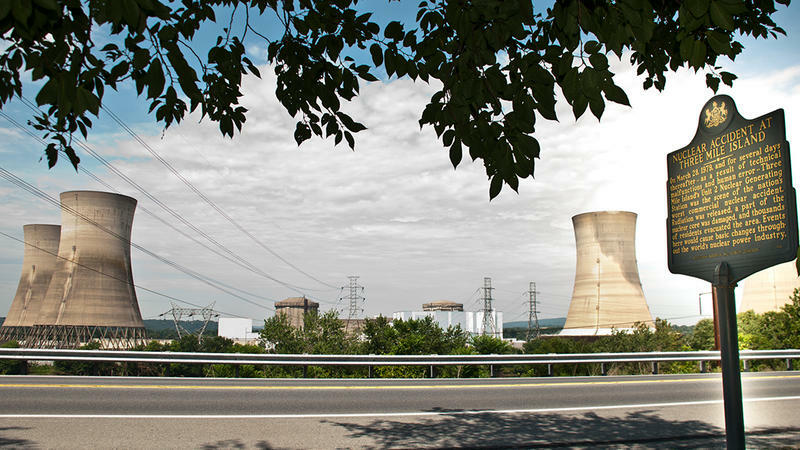 Today, the remaining working reactor at Three Mile Island, Unit 1, faces new challenges, including cheaper competition in a rapidly shifting energy grid. Unit 1 at the plant, near Harrisburg, Pa., is slated to close later this year. According to a new report by the advocacy group PennEnvironment, schools in the commonwealth are not required to test for lead -- it's recommended, but schools can skirt around the issue by holding a public meeting on lead. If a school does test, it's not required to share those results with parents. In some western Pennsylvania communities, glass is no longer being collected curbside with cans and paper as part of residential recycling programs. So a statewide environmental group is offering a solution. Pennsylvania's attorney general is opening an investigation into a $2.5 billion natural gas liquids pipeline across southern Pennsylvania that's been plagued by spills of drilling fluid and improper construction methods. Attorney General Josh Shapiro said on Twitter on Tuesday that his office is taking the investigation into the Mariner East 2 pipeline on a referral from Delaware County's district attorney. The pipeline has been operating for just over two months and is owned by Texas-based Energy Transfer. The Pennsylvania Department of Environmental Protection announced it reached an agreement with an Alabama company over the costs of plugging 1,400 abandoned conventional oil and gas wells in the state. Energy Transfer, parent company of Sunoco Logistics and builder of the Mariner East natural gas liquids pipelines, is the target of a Chester County grand jury investigation. US Steel is appealing an order from the Allegheny County Health Department to curb sulfur dioxide emissions at several of its Pittsburgh-area facilities, after a Christmas Eve fire damaged pollution controls at its Clairton Coke Works. Since the fire, emissions of sulfur dioxide from US Steel’s facilities in Clairton, Braddock, and West Mifflin have ballooned to five times the amount normally allowed under their county air pollution permits. Loggers in snowy forests are cutting down ash like there's no tomorrow, seeking to stay one step ahead of a fast-spreading beetle killing the tree in dozens of states. Sunoco’s parent company admitted it made mistakes in building the Mariner East pipelines through Pennsylvania, and told investors that it will do better in future, but its assurances failed to persuade critics that the project will become any safer for the public or more protective of the environment. The Allegheny County Health Department has been criticized in community meetings and at a state legislative policy hearing for a lack of communication in the first several days after a Christmas Eve fire at Clairton Coke Works. How can outreach improve, what’s being done to repair the plant, and how can Pittsburghers protect themselves from emissions?